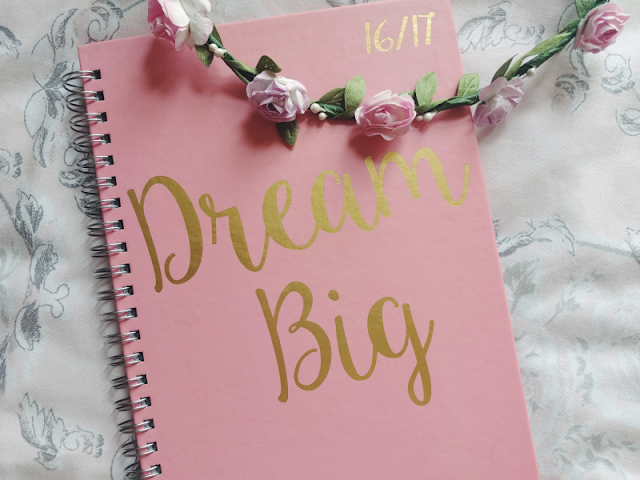 When I picked this planner up for when I go back to university in October I was initially attracted to the gorgeous gold lettering on the front but when I got home I realised it reminded me of Disney's current 'Dream Big Princess' campaign for young girls. Perfect for adding a subtle bit of Disney to my everyday life! But the best part? It was only £1 from Poundland! The boyfriend and I visited Bath over the weekend (a.k.a. one of my favourite cities in the whole world) and these floral crowns seemed to be everywhere! As they were only £3 each I couldn't resist picking one up. 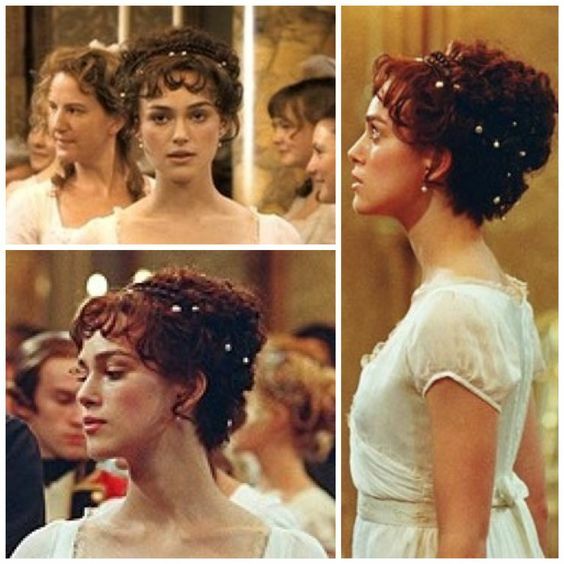 They came in lots of different colours but I chose this one as the pink/purple flowers reminded me of Rapunzel and the little pearl-esque beads of Elizabeth Bennet's hair in the 2005 Pride & Prejudice film. I will definitely be using this for a Rapunzel inspired outfit soon! 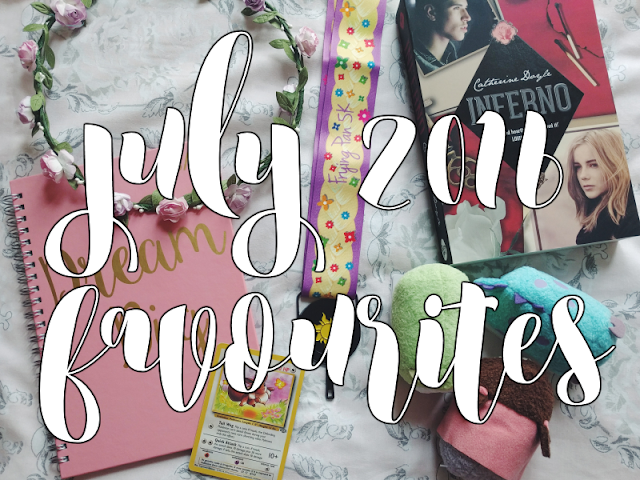 I started this series for BookTube-A-Thon this month and oh my gosh. I am addicted. 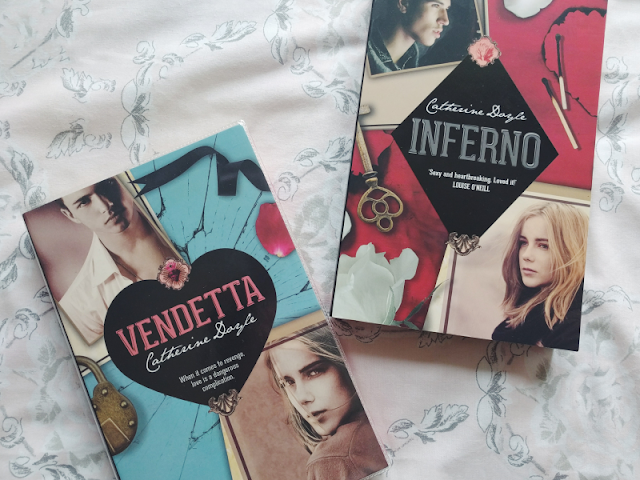 I won't say too much about it here as I'm doing a post on the books I read in July soon but if you're a fan of young adult books then you need to have this series on your to be read list. Definitely very swoon-worthy! With the release of Pokémon Go in the UK this month I seem to have been thrust right back into the world of Pokémon! 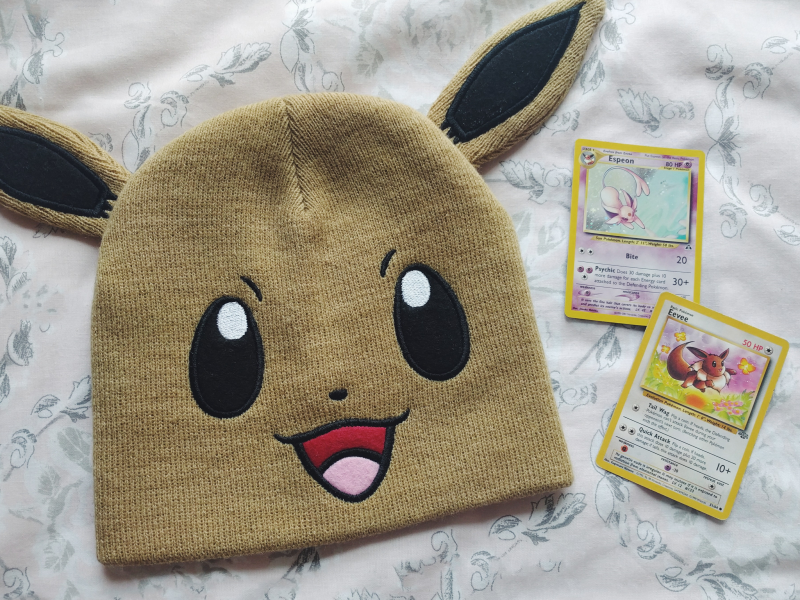 The boyfriend and I spent the past two weekends together stalking the streets for Pokémon on Pokémon Go, we've started watching the original TV series again (so corny but also so cute) and the boyfriend even bought me this adorable Eevee hat! I also had a dig around the attic and found what I had left over of my Pokémon card collection from my childhood. So much nostalgia this month! The oh-so-lovely Lottie from Lottie Does recently started a Disney-inspired fitness company, The Happiest Fitness Co, and they held a Tangled themed virtual run in July which I signed up to. The timing of this run was so perfect for me as I needed some motivation to get back into running after my exams. And can we appreciate the downright adorable design of the medal?! I'm hoping there will be more of these runs in the future as I'd love to build up a collection of Disney medals! 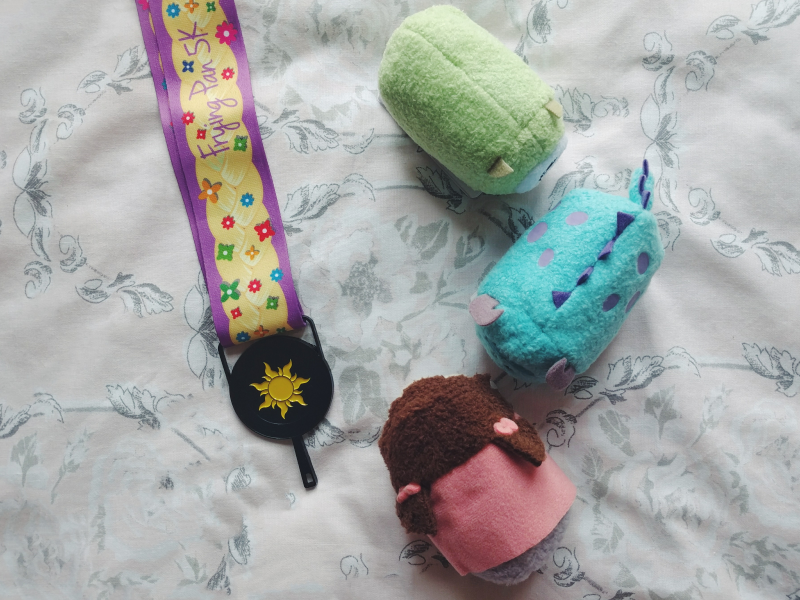 And finally my last favourites from July are the Monsters Inc tsum tsums that were released at the start of the month. Some of the recent tsum tsum collections have not been the best quality but this was definitely rectified with these tsums! They are SO soft and well made. Fingers crossed that the Beauty and the Beast collection that is being released tomorrow will be like these! The 25 Questions Tag - Get To Know Me!